Is DJI planning a rover with the name RoboMasters? It looks like it. As the year ends we were wondering what 2016 had in store so we’ve been scanning the trademarks being registered for new products and have spotted a few from DJI, the most interesting of which is RoboMasters, which will be branded with an R logo with a lightening bolt design. 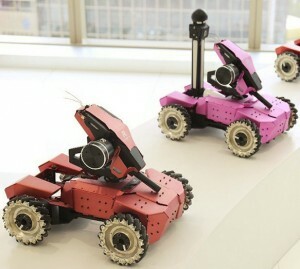 The RoboMaster is a car/rover which is an RC ground vehicle which likely has some autonomous capability, given the open source community in Arducopter for example, supports rover and multicopter configurations in the same flight controller, it’s probably no surprise that DJI would consider this market too. With DJI’s Ronin, a number of owners have made RC dollies, so a camera equipped rover makes as much sense as a hand held gimbal. Earlier in the year DJI’s CEO, Frank Wang demonstrated the RoboMasters concept cars, but there was no hint these would be sold to consumers, now with the trademarks being registered it looks to be certain given DJI have released the products they’ve trademarked to date. 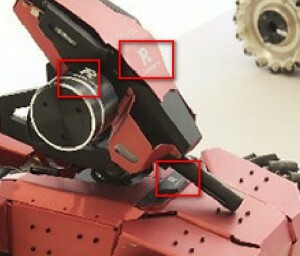 The trademark is clearly visible on RoboMasters car and matches the one registered. 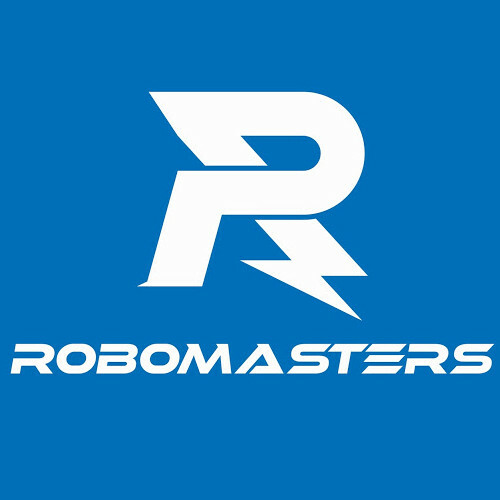 RoboMasters is the also the name of a competition DJI runs for a robotic events.